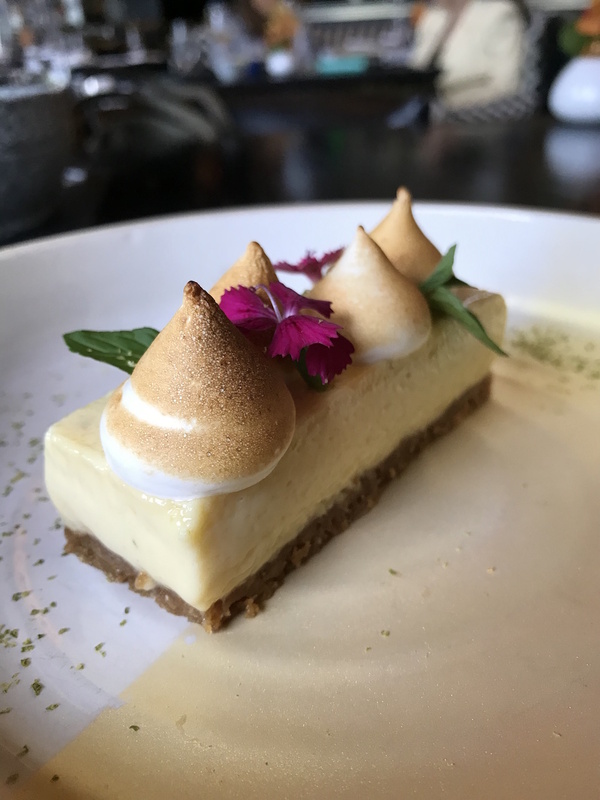 When a prix fixe menu is more your style, Cantina La Veinte has lunch figured out. And it looks way fancier than your coworkers leftovers, that’s for sure. What to expect: The doors open a half hour past noon. Crowd comes in at a slower pace, but you’ll definitely see business folks trickle in. Each table is accompanied by fresh flowers. Grab one closest to the window for all the vibes minus the Miami heat. The Menu: The lunch menu offers three courses for $25. Upgrade your menu for just cinco dolares and you will feast on a Margarita or Signature Cocktail. 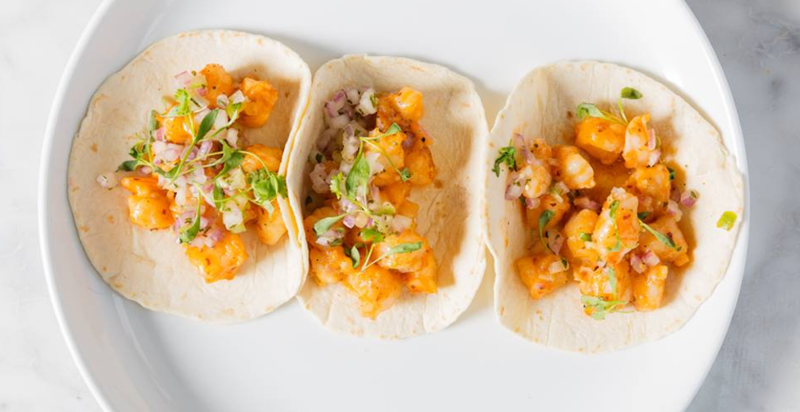 Appetizers range from a classic Cesar to the more eye-catching Tacos Gobernador. Your main course includes multiple seafood based dishes (like Scallops and Branzino) to the heartier Short Rib and Filet Mignon. Then choose from 6-7 dessert options. 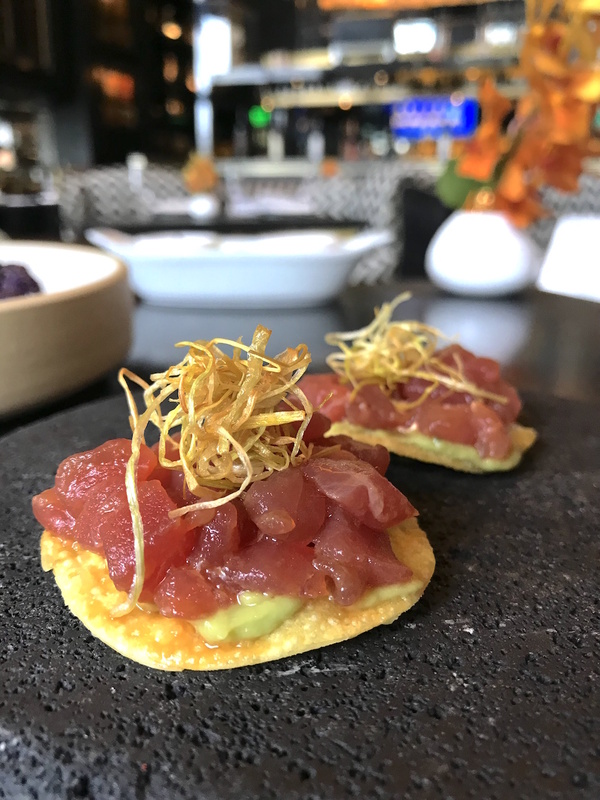 Tuna Tostadas: The order brings two tostadas. A guacamole and chipotle mayo spread keeps the fresh tuna in its place. It’s then topped with crispy leeks for even more crunch in every bite. 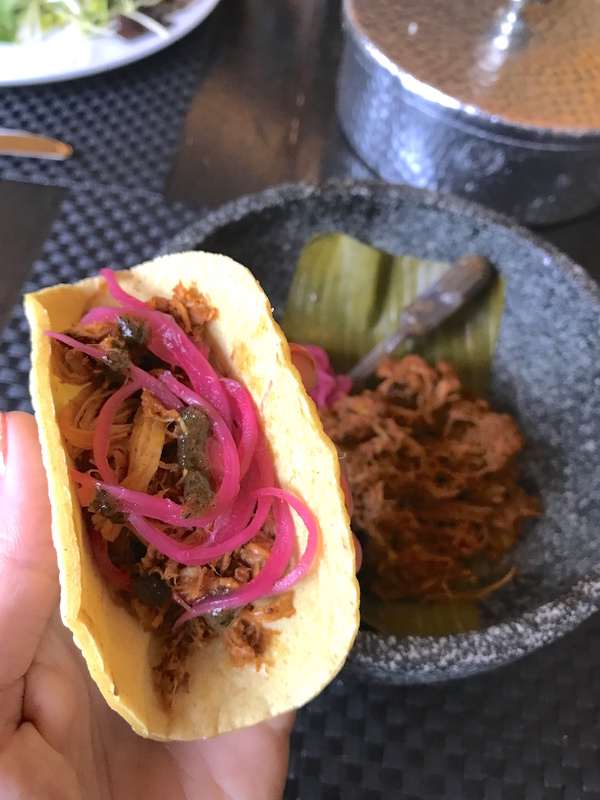 Cochinita Pibil: Tender pulled pork is served inside a hot stone. These DIY tacos come with a stack of warm tortillas, pickled red onions, and a dropper filled with a burnt habanero sauce. Key Lime: This creamy dessert has just the right amount of tart in it. Fluffy peaks of whipped meringue sit on top of this rectangular piece of delicacy. It’s also spiked with a bit of Mezcal. Off the menu: An additional appetizer, entree or dessert are each available at an extra cost. So if you’re hungrier than usual, go for it. How to score a table: Walk in for lunch or call ahead for big parties.